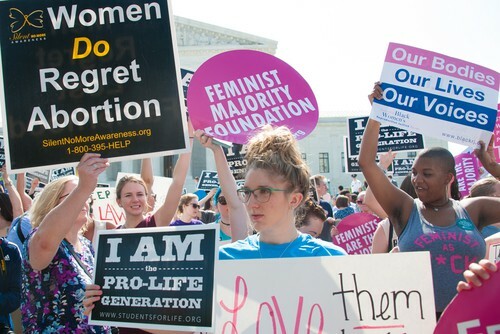 In just one month, Americans have made a sudden and dramatic shift away from the pro-choice position and toward a pro-life stance, according to a new Marist opinion poll. The shift was led by Democrats and those under 45-years old, according to a survey taken between February 12-17 in the wake of efforts in several states to legalize abortion up until birth. In addition, the poll found that 80 percent of Americans would like abortion limited to – at most – the first three months of pregnancy – an increase of five points since just last month. This includes 65 percent of those who identified as pro-choice, as well as strong majorities of Democrats (64 percent), Republicans (92 percent) and independents (83 percent).